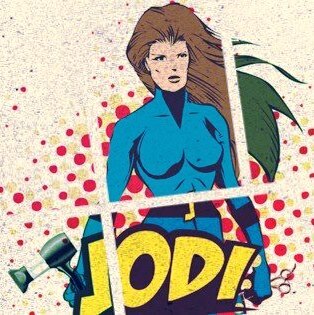 My name is Jodi Duncan and I am a hair super hero. If you don’t believe me then you can ask the countless number of my raving fans I have had in my chair since 1996. My philosophy about hair is this: the client is the boss, and I want to guide her to her best look. This means I am open to looking at hair books, pictures of your favorite celebrities, and talking to you about your lifestyle. I love the challenge of going from concept to the real do in the mirror. My favorite thing to do is color, and I am constantly attending classes to keep my skills sharp. My clients come from all walks of life, from business owners to busy moms (and sometimes like me they are the same person). Plus since I am located at two salons, Tyzalon in Newport News and PICS in Chesapeake I am all over Hampton Roads making appointments with my convenient. I hope you stop here often to hear the latest news and buzz coming from the Zoo. I will share my favorite products, tips and tricks for making your daily hair existence the best possible. Plus I am the Up-do expert. From bridal hair to a big night out, I can handle the big days in your life. So call me at 757-344-4887 or email me at jodiatthezoo@yahoo.com and lets make you a member of the zoo. 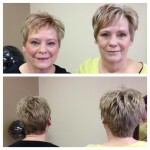 There are days when being a hairstylist is awesome and when Joan and June are in my chair I get a double dose of fun. The ladies came in to get color and cut… check out the awesome red highlights- it’s a great way to punch up your color but still keep it conservative and fun. Joan and June make my day!